4) Gran Jefe II, Gran Jefe II, Tony Rodríguez vs Cóndor de Oro, Conflictus, Stuka Jr. Event Notes: Pentagon/Espanto Jr. is promoting this show. 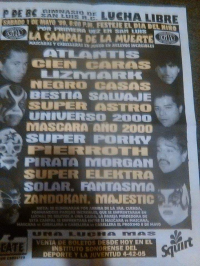 Cobarde is billed as a world heavyweight champion. 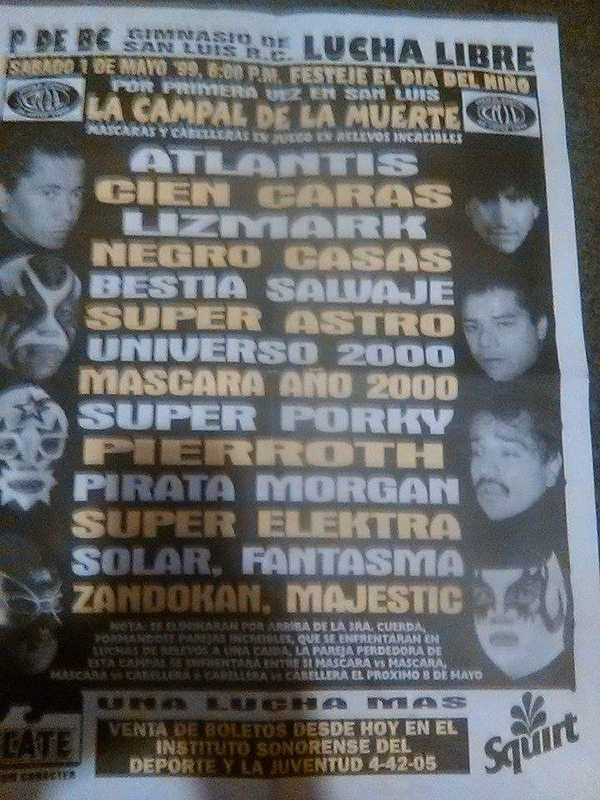 4) Baby Star I, Baby Star II, Flecha Veloz vs Averno, Índio Wama I, Índio Wama Jr.